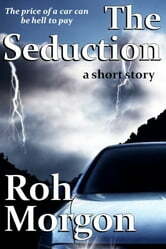 The first time Erica saw the black, low-slung sports car, she felt shock at its sensual pull deep within her soul. But when she began to succumb to its whispered promises, she didn'suspect she might be losing more than her mind. This 1500-word paranormal tale is a 'short-short' story from the "Monsters in the Machines" collection by Roh Morgon. An excerpt from her novel "Watcher: Book I of The Chosen" is included.